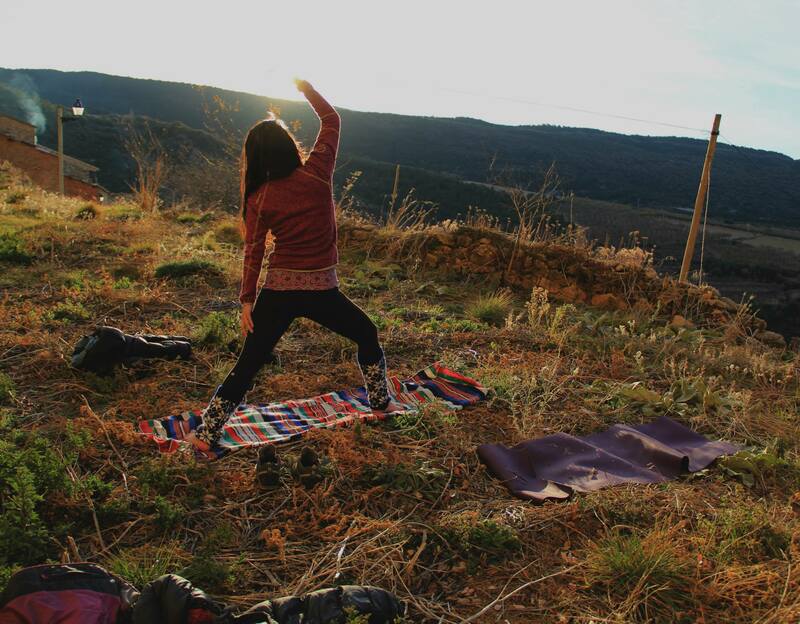 Abella de la Conca is a perfect place for yoga whether you are a beginner or advanced practitioner thanks to its tranquility, spacious surroundings and inspiring views. For those who want a deep nature connection there are plenty of flat olive terraces for you to enjoy practicing among the trees and the wildlife, perhaps with the early morning sunrise or evening sunset to enhance your view. Alternatively we also have a 35sqm wooden platform in the grounds of the Eco-Refugi which offers shade and seclusion for more concentrated or dynamic practice. The platform is available to use for individuals and groups staying at the refugi. We have a few mats for people to borrow free of charge if you are travelling light. 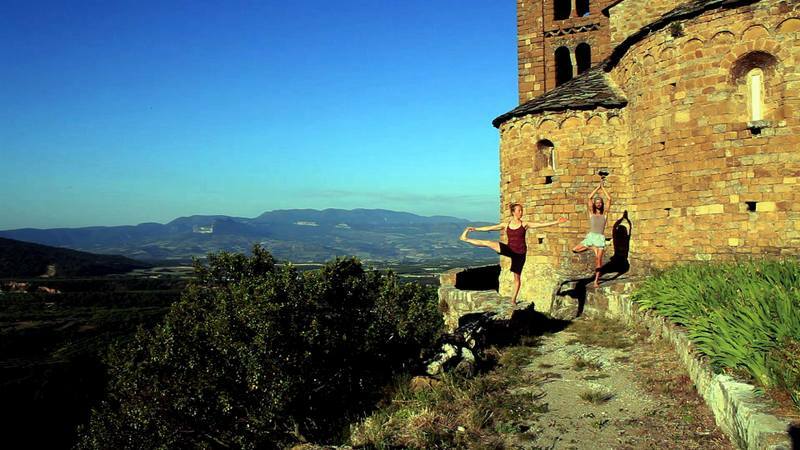 Climb Catalunya (who have their base at the Eco-Refugi) also run yoga & climbing trips which are great way for climbers to discover yoga for the first time or further their practice alongside a climbing holiday. Non climbing partners may also want to come along just for the yoga. Nicolas Durand is a registered Ashtanga yoga teacher (RYT 200) who teaches on the Climb Catalunya yoga & climbing trips.